Used to connect rows of pallet rack (back to back). Spacers increase stability and maintain consistent spacing between racks. FOB Shipping Point. 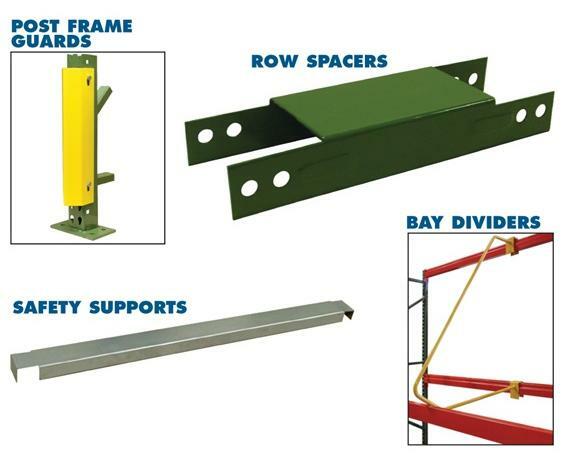 Use safety supports as front to back members to support pallets or wood decking. Silver in color. FOB Shipping point. 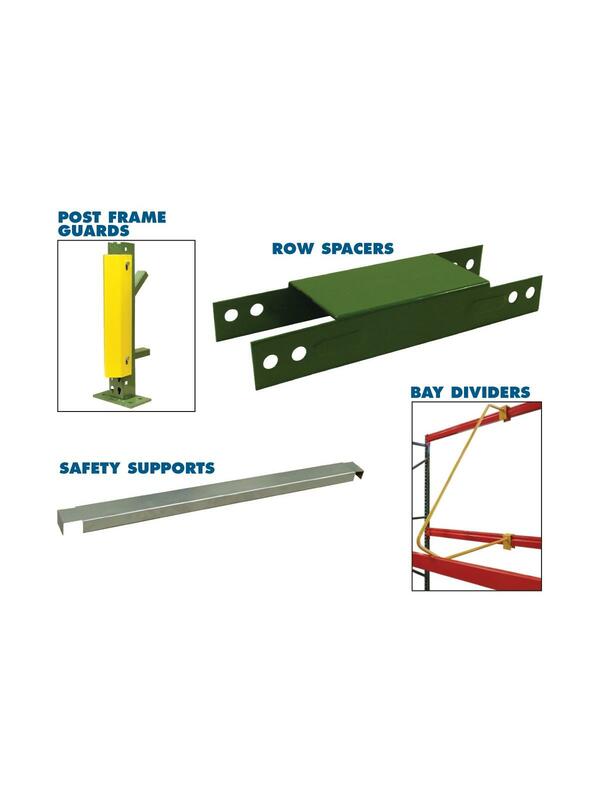 Solid steel guards that withstand impacts with heavy duty construction. Features high visibility yellow powder coated finish. FOB Shipping Point. Organize material vertically with these easy to install bay dividers. Designed to fit over 3-1/2", 4" and 5" high beams. No hardware required. Pre-punched holes are available for permanent mounting. FOB Shipping Point. 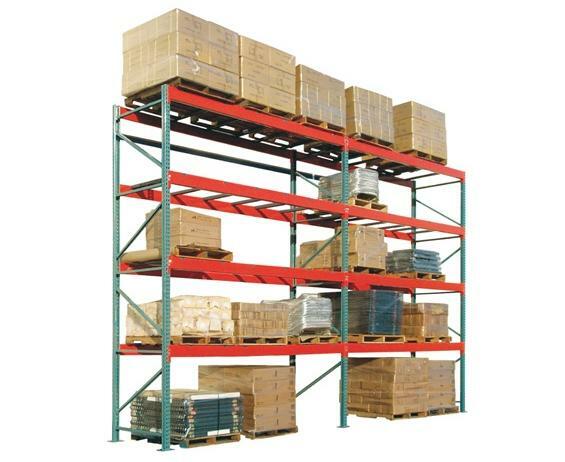 See Related Items tab for Jaken Pallet Rack Uprights, Jaken Pallet Rack Wire Mesh Decking, and Jaken Pallet Rack Step Load Beams.